MILTON, WI/FT. 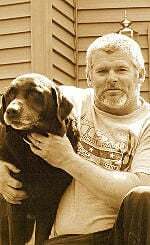 WAYNE, IN -- Daniel P. Sheridan, age 53, passed away on Saturday, April 13, 2019, at his home in Ft. Wayne, IN. He was born in Janesville on November 16, 1965, the son of Daniel T. and Ann P. (Oakley) Sheridan. He graduated with the class of 1984 from Parker High School. Daniel married Tami A. Walker on December 16, 2007 in Las Vegas. He was a Team Leader with General Motors. Daniel is survived by his wife, Tami; daughter, Alexis Sheridan; siblings: Sheryl (Tony) Walls, Vickie (Tom Smith) Sheridan, Michael J. (Kim) Sheridan, David Sheridan, Paul (Tammie) Sheridan, and Lisa (Don) Marshall; the boys, Presley and Winston; and many other family and friends. He was preceded in death by his parents, and his beloved, Tucker.